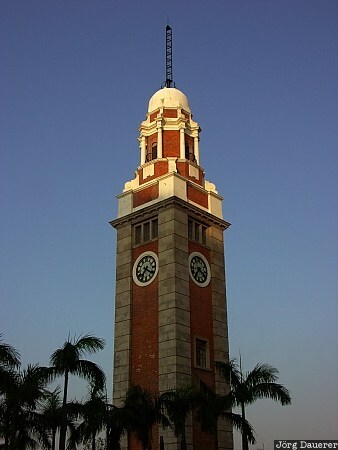 Tsim Sha Tsui Clock Tower, in Kowloon one of the landmarks of Hong Kong illuminated by soft early morning light, Hong Kong, China. This photo was taken in the morning of a sunny day in October of 2005. This photo is part of the exhibition Towers (February 2011). This photo was taken with a digital camera.